Why do underdogs succeed so much more than they should? How do the weak outsmart the strong? In David and Goliath Malcolm Gladwell takes us on a scintillating and surprising journey to uncover the hidden dynamics that shape the balance of power between the small and the mighty. 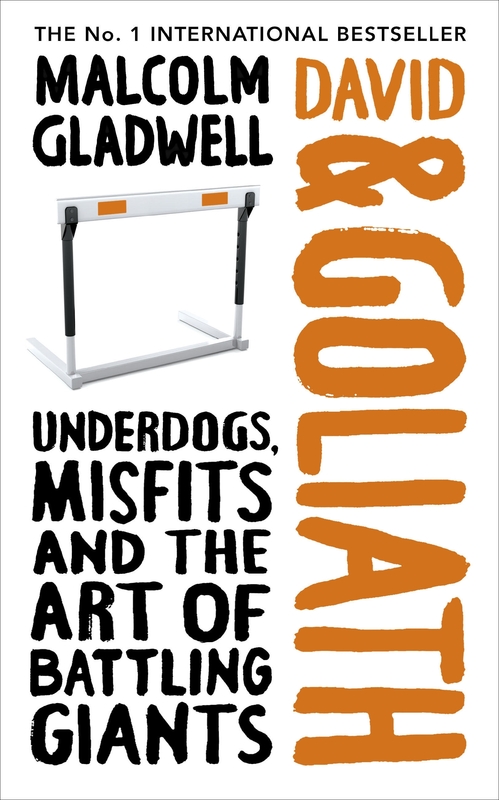 From the conflict in Northern Ireland and Vietnam, through the tactics of civil rights leaders and the problem of privilege, Gladwell demonstrates how terribly we misunderstand the true meaning of advantage and disadvantage. When is a traumatic childhood a good thing? How can a disability leave someone better off? And do you really want your child to go to the best school he or she can get into? Drawing on the stories of remarkable underdogs, history, science, psychology and his unparalleled ability to make the connections other miss, David and Goliath is a brilliant, illuminating book that overturns conventional thinking, and brings home the incredible leverage of the unexpected.